﻿ How does the XFP transceiver affect server technology? Every day, the data center needs to handle massive amounts of data and need to record the speed of data retrieval. This requires that each of these aspects of the design need to be well optimized, including the use of XFP transceiver technology. Given that most of today's data centers have 100Mbps or higher network connectivity, all XFP transceiver technologies, including 10Gbps, must meet the growing bandwidth requirements. The technology needs to meet the bandwidth requirements not only for storage and application switching, but also for server applications. In this article, we will introduce you to some of the information you need to know about XFP transceivers and server technology. High port density was very popular in 2003. Since then, designers have begun to need XFP transceivers, which not only consume less, lower cost, and smaller. The industry generally believes that the XFP transceiver meets these requirements of the designer and is popularized and promoted through the XFP Multi-Source Protocol (MSA) when the technology is popularized and promoted. The XFP transceiver package is shrinking. It evolves from a 4 "x 3.5" scale package to a 2.3 "x 0.68" package. This is a major change, making the total area of ​​the server to reduce, it makes the size of the data center becomes smaller and more streamlined. In addition, XFP transceiver power consumption has greatly decreased, from 10 watts down to 3 watts or less, which is undoubtedly another major technical aspects of overflight, allowing designers to get more transceiver technology. Lower power means lower design prices and power costs. The savings in these areas are unbelievable for those in the technical field. The advances in silicon technology make all of these advantages possible. Supply of fiber optic components introduced by manufacturers, to promote the development of new transceivers. This evolution and development will enable enterprise customers to achieve 10Gbps, and enable them to migrate from 10 Mbps to 100 Mbps, while cost prices continue to decline. That's why designers say they must keep up with the times and continue to find new solutions to solve the old problems that seem so important. In the design of the transceiver, the port density is one of the most important factors. Most data centers are composed of multiple switching equipment racks, which can achieve high-speed processing. In order to control costs, data center designers have improved their design and tried to improve their production process technology in order to be able to better achieve further control costs in this effort. Increasing port density is one way to reduce system cost. The XFP transceiver supports up to 16 channels, which can be plugged into a standard server equipment rack. Although high port density is necessary to reduce costs, solving heat problems has also become a key issue. Power demand can be met by using VCSEL technology, which is also through the use of the latest silicon technology. XFP 10 GbpsXFP transceiver in the acceleration has been greatly improved, while the integration has also made considerable efforts. XFP transceivers have been designed to meet server requirements to meet the performance and distance requirements of 10 Gbps Ethernet. 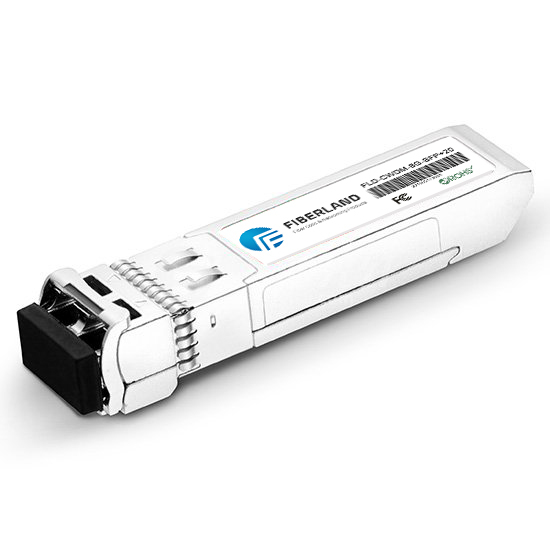 An XFP transceiver can easily meet the server's transmission rate and coding conditions. With the development of server technology, XFP transceiver technology also followed its followers. When the designer moves the digital function from the transceiver to the ASIC (application specific integrated circuit), the efficiency of the transceiver is improved. Overcoming the loss associated with XFP transceivers is a major concern for XFP transceivers. The crosstalk between the telecommunication channels is another matter of concern. As the technology improvements and inefficiencies are minimized, the servers will become more efficient. This work requires designers and manufacturers to provide some assistance, the main content of assistance is the development of server and transceiver technology. Remember that an XFP transceiver on a server converts an electrical signal into an optical signal. This allows them to achieve speeds of more than 25 Gbps. However, if their volume is too complex, they are more likely to cause transmission loss and signal attenuation, which is undoubtedly another obstacle to faster transmission. In order to solve these problems, XFP transceivers have emerged in the corresponding circuit technology to suppress the reflection and improve the data transfer rate. At the same time, also carried out the relevant efforts in order to reduce the cost and the area of ​​the printed circuit board, optical devices. Some companies have developed thin film lenses to solve these problems, but they did not completely eliminate them. While the future of technology or will eliminate the existence of this obstacle. Technology companies are working to develop XFP transceiver technology specifically designed for use in data centers. These devices convert electrical signals into optical signals that allow these signals to be safely and efficiently transferred from the server to the server via fiber optic cables. Some companies have introduced transceiver technology that can transmit data at 40 Gbps, while others are able to deliver 100 Gbps of data transmission technology. Some of the new start-up companies have a total investment of more than $ 30 million, hoping to achieve higher data rates, because they already realize that their return will be significantly greater than the return on investment. With the development of the cloud computing industry, technical experts predict that XFP transceiver technology will be further improved to meet the cloud storage depends on the speed of the server technology requirements. This trend is undoubtedly of great benefit to transceiver manufacturers who are looking for more commitment to improve their current transmission speed and maneuverability. Major companies are looking to reduce the cost and server footprint, and improve the speed to promote the transceiver technology. Achieving a transmission speed of more than 25Gbps is the goal of many next-generation manufacturers. They plan to take advantage of these improvements to double the transmission rate. When the transceiver can be convenient in the server's high-speed, high-bandwidth CPU communication between the realization of business users can achieve its performance breakthrough. That's why the future of supercomputers is a big reason: transceiver technology is emerging to meet the needs of the server. Virtualization technology allows a single CPU to run multiple processes at the same time. XFP transceiver technology has also been improved to support data passing through the CPU and all other peripheral technologies. Optical transceivers have excellent performance. They can achieve 25 Gbps transfer rate. The use of electrical communication to achieve higher data transfer rate becomes more difficult, but when using the optical transceiver technology can more easily support a higher data transfer rate. As technology advances, many of the past problems have been corrected, and businesses can transmit data faster than ever before. Many companies have set their own technology in the next few years to significantly improve their technology in order to help business owners make decisions faster and reduce investment goals. The increase in bandwidth is the subject. In general, a 10 Gbps rate may be a more appropriate technology for applications for server, storage, and workgroup switches. But every designer must find a solution to optimize the systems they design and deploy. XFP can increase port density and reduce the cost of XFP transceivers. It is for this reason that all designers should have a plan to enhance their own transceiver technology and server technology. With this plan, business owners can expect to reduce processing time while saving space. Track the progress of the transceiver technology and determine how it can help your business achieve long and short term goals.